High Performance Floor Coating Topcoats give your concrete flooring systems the extra properties to make them a truly superior value, based on your facility’s unique needs. 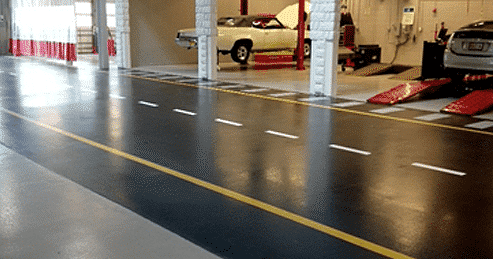 For example, you may have a space that experiences heavy traffic from pedestrians as well as rubber-wheeled or steel-wheeled carts—and we have the ideal abrasion-resistant floor coating topcoat. 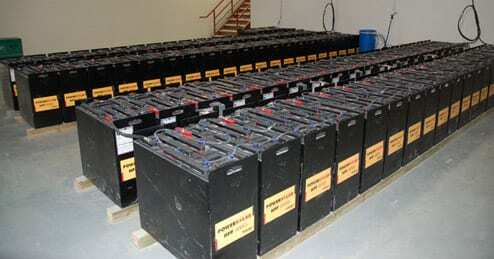 Alternatively, you may have a laboratory or battery storage area in your facility that requires resistance to sulfuric acid and other corrosives. Moisture Cure Urethane floor coating systems in clear and solid color formulas. 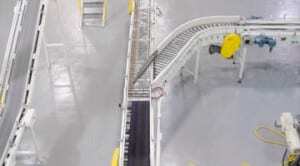 Novolac epoxy acid resistant floor coating materials. High traffic abrasion resistant flooring. FloroWear is an excellent protective coating for high traffic floors because of its high chemical and wear resistant properties. It can be installed over existing coatings that are well bonded and properly prepared. It provides 50% greater wear resistance than conventional urethanes. The Florock High Traffic Urethane system is also an attractive floor finish that maintains a low sheen, amber resistant appearance over time. It makes floors easier to clean and prevents concrete dusting. 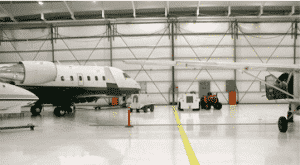 Ideally suited for commercial, light industrial and institutional applications, such as: Hangar floors, Auto & motorcycle dealerships, Loading docks, Aisleways, and Ramps. Florothane MC/HT is a unique high performance urethane topcoat system that can be conveniently installed to furnish a variety of finishes, including high gloss clear or pigmented and satin clear or pigmented. It offers excellent UV stability and colorfastness, exceptional durability and odor-free installation. Clear of field-tinted, Florothane MC/HT provides superior abrasion, chemical and solvent resistance with superior wear properties. Ideally suited for commercial, industrial and institutional applications such as: aircraft hangar and vehicle maintenance areas; auto, truck and motorcycle dealerships; retail, showrooms and office settings; loading docks, manufacturing, packaging; educational; fire stations, public spaces; heavy traffic aisleways. Florothane MC is an economical, light stable, high gloss standard traffic system. It provides outstanding gloss retention and superior hardness as well as exceptional abrasion resistance. It is resistant to many chemicals and solvents and it stops concrete dusting, providing a floor that is easy to maintain. Florothane MC is resistant to Skydrol, jet fuels and other vehicle maintenance fluids. Florothane MC is high solids with low odor. FloroSpartic Zero and 340 are high gloss, clear, VOC compliant, aliphatic polyaspartic concrete floor coatings. They may be used as light stable, high performance topcoats or as multi-coat system. Both systems cure well in cool conditions. FloroSpartic provides good chemical resistance to oil, grease and strong detergents. Both formulations are quick-drying, allowing may projects to be completed in a single day. Typical uses are as a primer, basecoat and topcoat with quartz or chips. They also may be used as a topcoat over Floropoxy epoxies and in hybrid systems over FloroCrete Urethane Mortars. Frequently used in commercial, industrial and institutional applications where fast turnaround or cool conditions exist. FloroSpartic 5 is a glossy, clear, VOC compliant, aliphatic polyaspartic concrete floor coating that may be used as a light stable, high performance topcoat or as a multi-coat system. It provides superior chemical resistance to oil, grease, and strong detergents and is quick-curing at room temperature, allowing many projects to be completed in a single day. Florospartic 5 also cures well in cool conditions and may be field-tinted with Florock Universal Colorants. FloroSpartic 5 system advantages include: Excellent wear & chemical resistance; Fast curing; cures in cool temperatures; Outstanding thermal shock properties; USDA, FDA, OSHA & EPA Compliant; Resistant to ultraviolet light. Floropoxy Novolac Epoxy is a two component, 100% solids secondary containment topping/lining providing superior protection to concrete surfaces subjected to strong acids and caustics in a broad spectrum of industries. The novolac coating may be used alone, with the addition of silica sand or decorative colored quartz aggregate. For a colored resin system, add the Florock Epoxy Colorant of choice to the clear Novolac resin. Floropoxy Novolac is commonly used in chemical and waste treatment plants, pulp & paper mills, textile mills, metal finishing and power generation facilities. 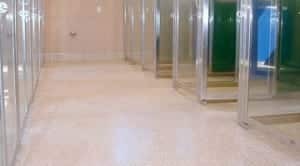 Product Description: FloroWear 7100 is an excellent protective coating for high traffic floors because of its high chemical and wear resistant properties. It provides 50% greater wear resistance than conventional urethanes. FloroWear 7100 is also an attractive floor finish that maintains a low sheen, amber resistant appearance over time. It makes floors easier to clean and prevents concrete dusting. Resistant to Skydrol ®, jet fuels and other vehicle maintenance fluids. Florothane MC is high solids, low odor. A variety of colors can be achieved with the addition of Florock Universal Colorants. Product Description: Florothane MC/HT is a unique high performance urethane topcoat system that can be conveniently installed to furnish a variety of finishes, including high gloss clear or pigmented and satin clear or pigmented. It offers excellent UV stability and colorfastness, exceptional durability and odor free installation. Clear or field-tinted, Florothane MC/HT provides superior abrasion, chemical and solvent resistance with superior wear properties. Whether applied as a high gloss or satin finish, slip resistance may be customized with additional aggregate. Durable and easy to maintain, Florothane MC/HT is an ideal topcoat choice for many other Florock flooring systems. 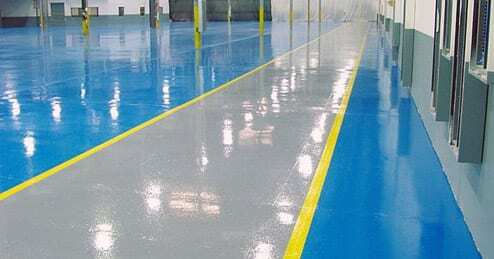 Product Description: FloroSpartic Zero and 340 are glossy, clear, VOC compliant, aliphatic polyaspartic concrete floor coatings. They may be used as light stable, high performance topcoats or as multi-coat system. Curing well in cool conditions, FloroSpartic provides good chemical resistance to oil, grease and strong detergents. Both formulations are quick-drying, allowing many projects to be completed in a single day. temperature, allowing many projects to be completed in a single day. Florospartic 5 also cures well in cool conditions and may be field-tinted with Florock Universal Colorants. Product Description: Novolac is a two component, 100% solids secondary containment topping/lining that provides superior protection to concrete surfaces subjected to many acid and caustic solutions. Novolac may be used alone, with the addition of silica sand or decorative colored quartz aggregate. For a colored resin system, add the Florock Epoxy colorant of choice to Clear Novolac resin.